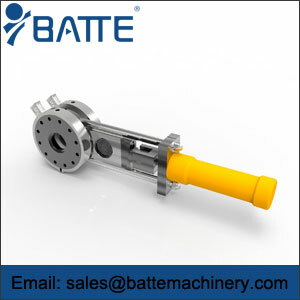 Hydraulic guide mesh belt changer solves the problems of unstable mesh screen changer and low efficiency of traditional filter, including outlet main board, inlet main board, filter net, storage bin, first heating zone, second heating zone, first cooling zone, temperature sensor, controller and pressure sensor, outlet main board and inlet main board. A sliding cavity is formed between two gaskets, and a sliding cavity has a plurality of guide plates. One end of the sliding cavity is provided with a push mechanism. The guide plate is pushed by the push mechanism and slides in the sliding cavity. A plurality of through holes are arranged on the guide plate, and a clamping groove is arranged on each guide plate. The filter screen card is installed in the card slot and laid along the sliding cavity. The outlet of the submersible cavity is provided with a scraper which fits with the filter screen. 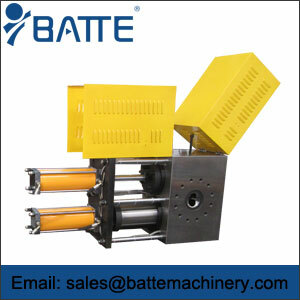 The hydraulic guide mesh belt changer is used for the filtration of plastic melt. 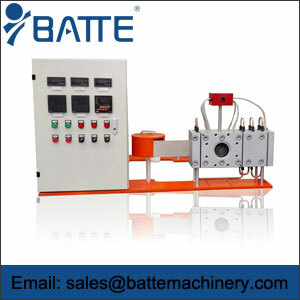 The automatic mesh changer is realized by alternating the first cooling zone and the second heating zone and the driving mechanism. 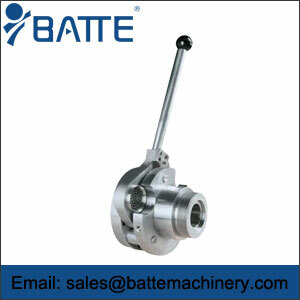 The mesh changer is stable and efficient in the process of mesh screen changer.